Clean and modern, this style is all about color and contrast, using simple and spare as its hallmark. The main text is a square serif font, printed white in a bar of solid color. Above and below, centered sans-serif text finishes this simple and elegant style, bringing out the beautiful paper to its best advantage. 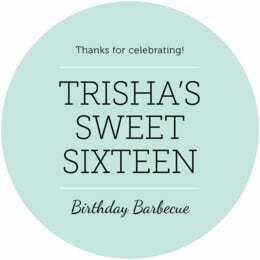 Customize your Modern Museo sweet sixteen coasters today!